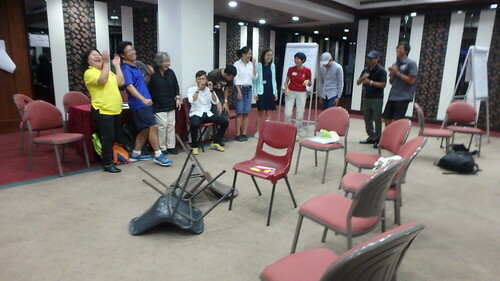 Pulau Ubin people had fun at a workshop specially for those organising activities for Pesta Ubin 2017! 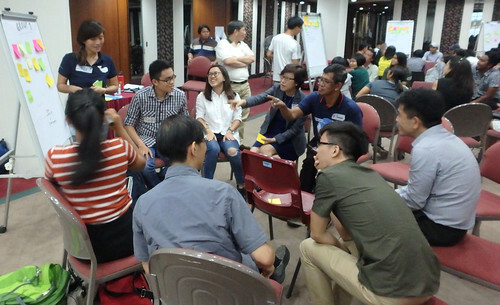 About 70 people passionate about Pulau Ubin from 20 Organising Groups made time to attend the Pesta Ubin 2017 Workshop on 10 Apr 2017. 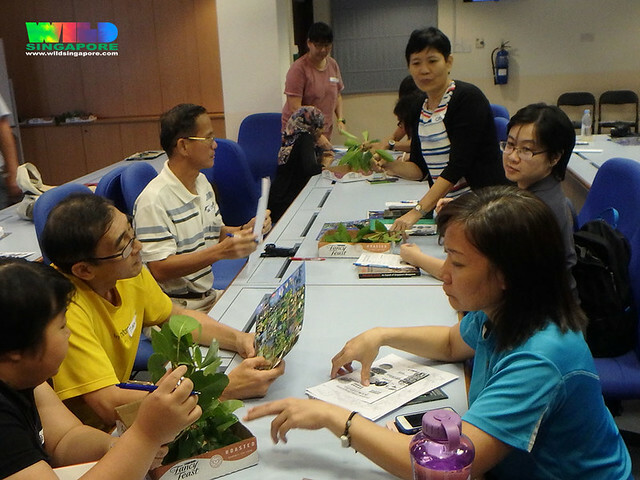 Specially for Organising Groups who are planning activities for Pesta Ubin 2017, this workshop aimed to allow participants to get to know others passionate about Ubin and what they are offering for Pesta Ubin. November Tan of the Leafmonkey Workshop gets us started. 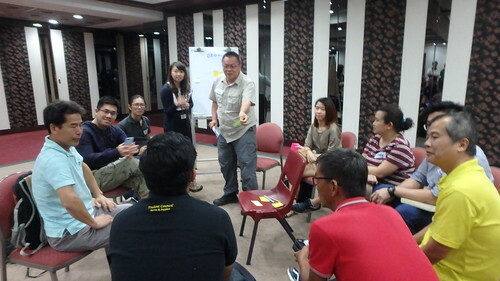 And to share ideas on how we can all improve Pesta Ubin together. 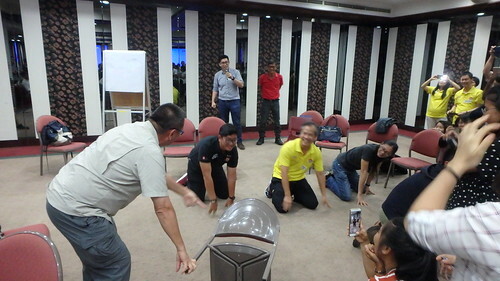 Also to collaborate with others on Pesta Ubin and Ubin issues. 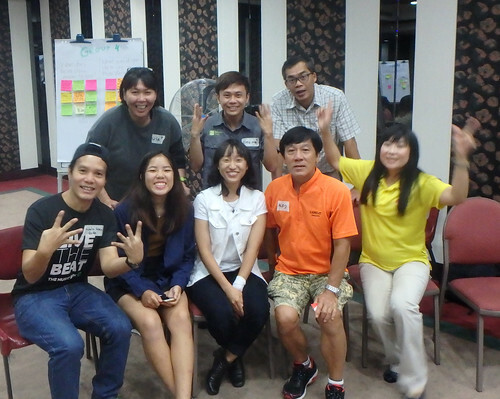 And an opportunity to network and have fun with others who are passionate about Ubin. 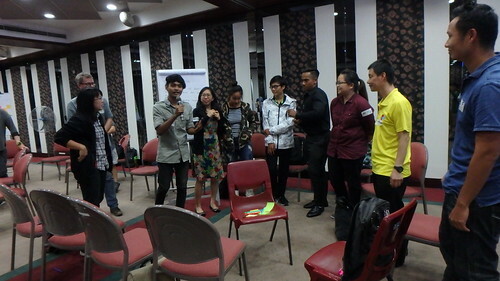 The Workshop began by learning about one another. 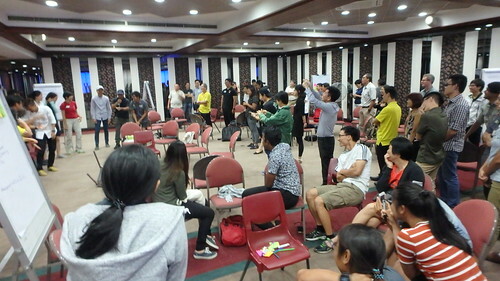 Each Organising Group made a 2-minute introduction of their Group, the aspects of Ubin they are showcasing in their Pesta Ubin activity and one special attraction of their Pesta Ubin activity. 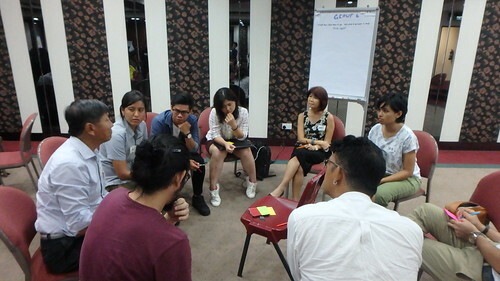 During the first breakout session, participants shared “What Pesta Ubin means to me?”. 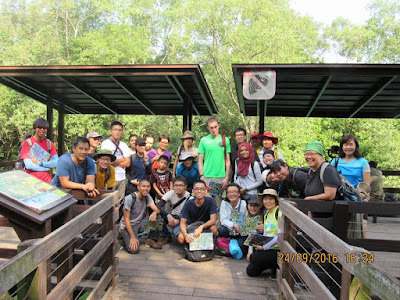 Most shared that it was a time to learn and experience Ubin’s cultural, natural heritage, hidden gems; a way of life no longer found on the mainland, the last kampung, interaction with villagers while escaping from city life. 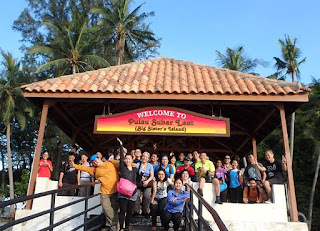 Pesta Ubin was also a time for more people from all walks of life to get to know Ubin, experience the kampung spirit and bring the Ubin Way back to the mainland. Also to encourage others to perserve Ubin heritage and nature. Some shared that Pesta Ubin was a way for them to give back to Ubin, share their passion. 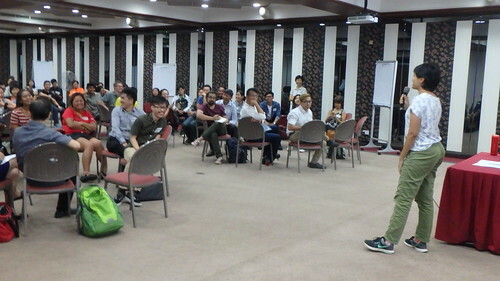 On “What I would like to see more of at Pesta Ubin?” participants suggested a wide range of ideas including more activities for specific target groups, covering a wider area of Ubin, a wider range of activities from sustainable ones, nature, heritage to kampung life, night activities. 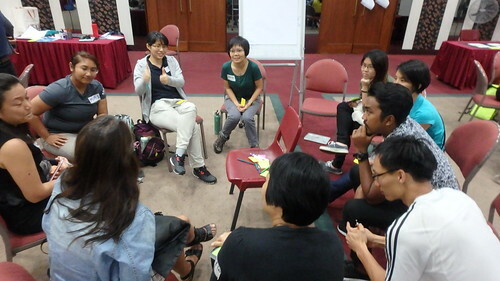 Others wanted more local Ubin villagers involved, more youths to be involved. 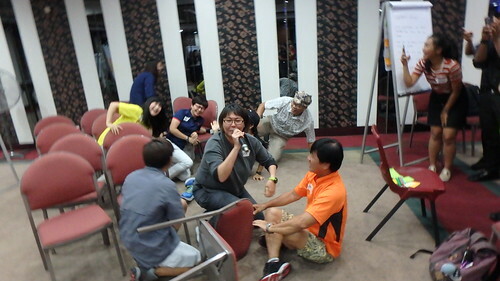 Some wanted more coordinated publicity and social media coverage of Pesta Ubin. 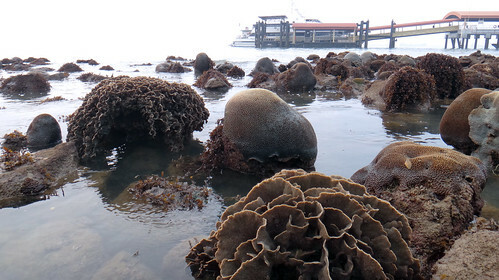 Some highlighted principles such as keeping Pesta Ubin simple and rustic, and one hoped that Pesta Ubin becomes 'extinct' - because everyone already knows about Ubin. 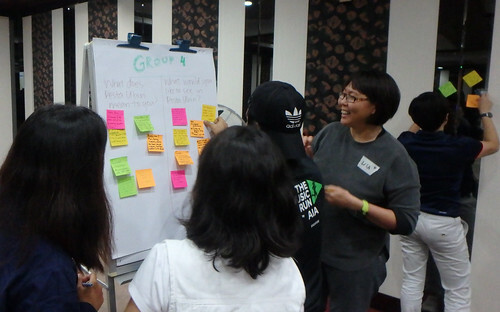 In the second session, participants came up with a Pesta Ubin activity that involves all members in their group, i.e., the aspects of Ubin that each is passionate about. 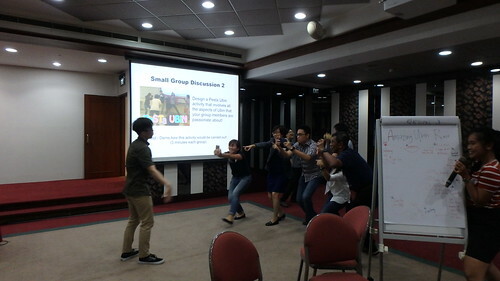 They then did fun demonstrations of their activity! Island walk to forage for food: the Rambutan Tree! Amazing Race: Snap a photo of that bird! Including how to survive a capsizing! What happens when wild pigs get caught in a trap? How to release them gently. There was also a lively networking session at the end of the evening. 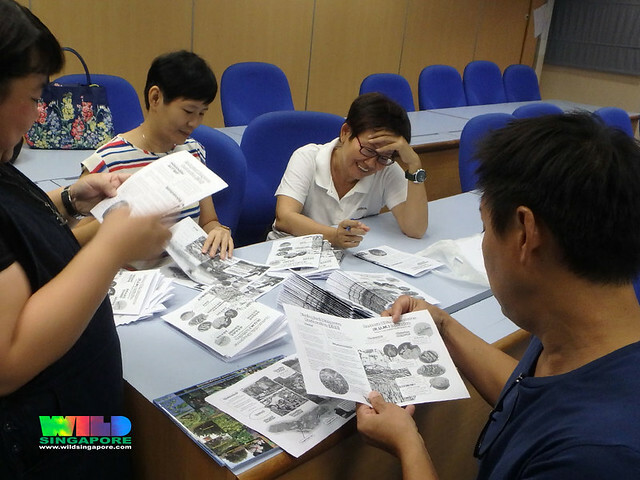 The Workshop participants also voted on the Pesta Ubin 2017 logo and badge design. 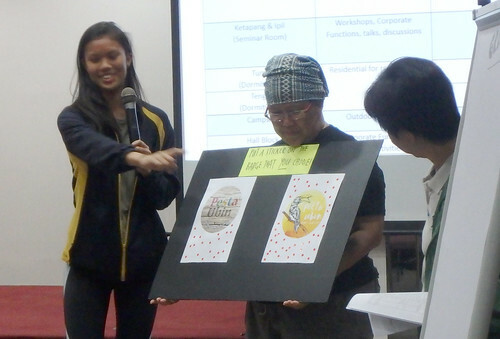 And the winning design was done by Inez Alsagoff, NParks intern and Pesta Ubin Coordinator! Thanks also to Inez for doing all the heavy lifting for the Workshop! 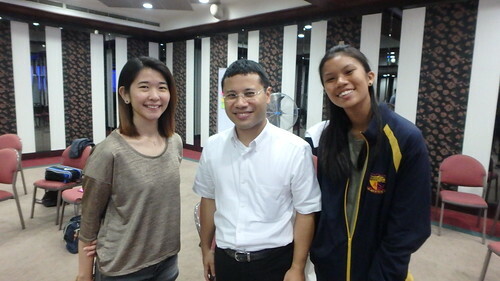 Grateful thanks to Senior Minister of State Desmond Lee for hosting the event. 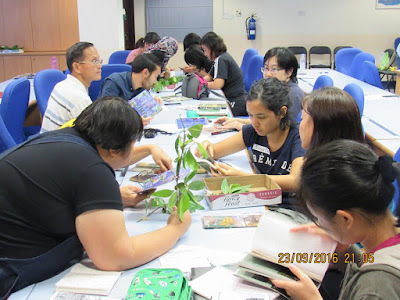 More photos of the Pesta Ubin 2017 Workshop on wildsingapore flickr. 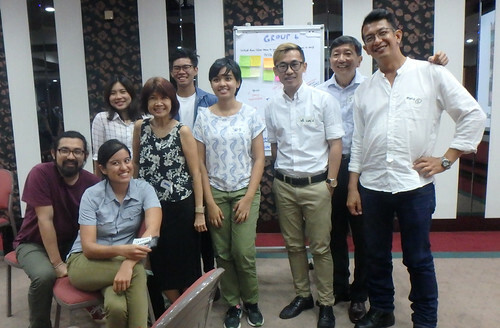 Full After Action Report of the Pesta Ubin 2017 Workshop is online here. Fun with mangrove flora ID! We had lots of fun figuring out mangrove trees and plants last weekend. 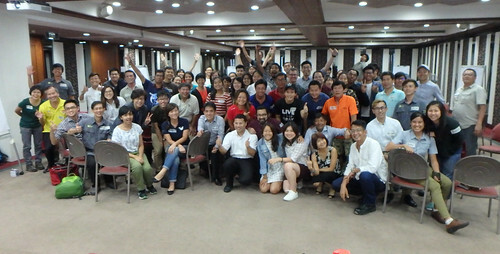 Thanks to enthusiastic support from an overwhelming response to the workshop! 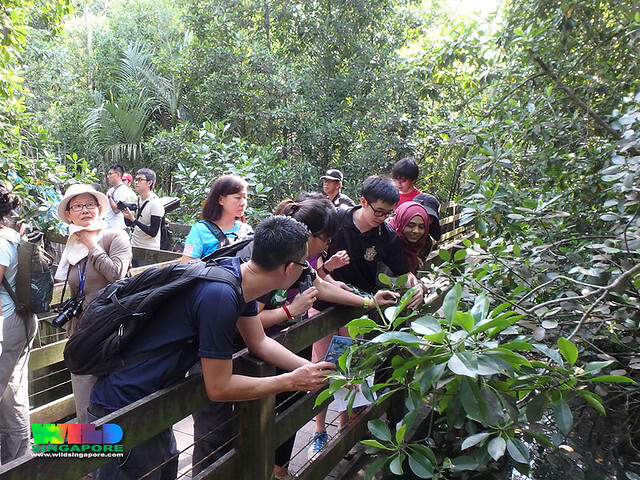 In line with the interests expressed by the participants, there was a brief introduction to the mangroves in Singapore. Their importance, status and threats to them. 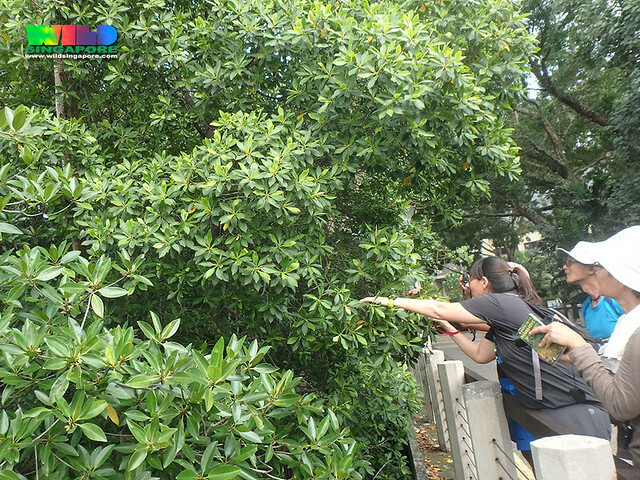 We also shared more about the Restore Ubin Mangroves (R.U.M.) 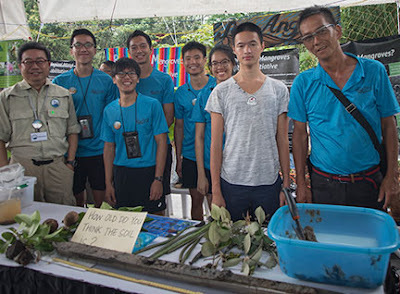 Initiative and how their newfound skills will play a part in helping Mother Nature do the planting in natural restoration of abandoned aquaculture ponds on Pulau Ubin. We then broke up into smaller groups and had lots of fun figuring some common mangrove plants! 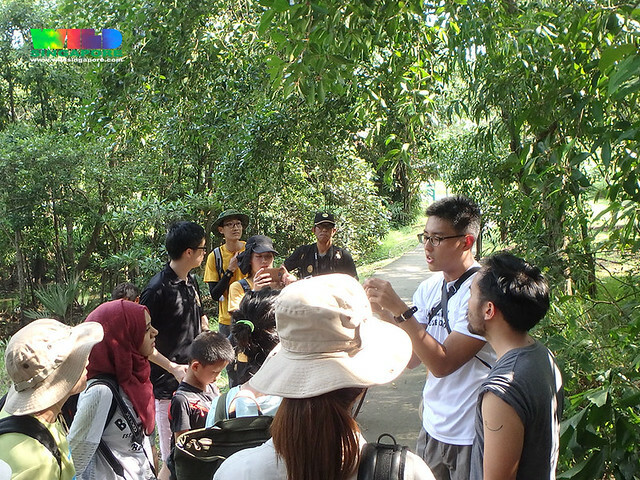 The very next day, we gathered at Pasir Ris Park to take a closer look at real mangrove plants and try to figure out their ID. 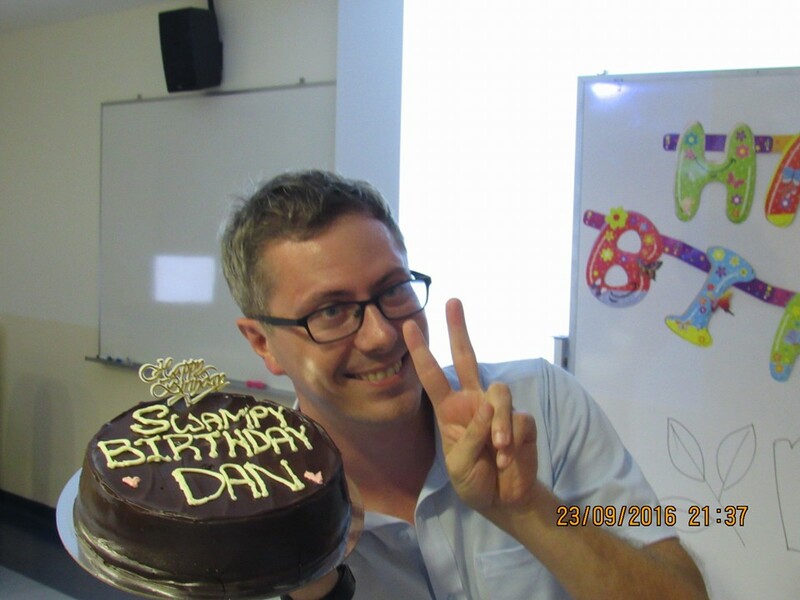 Thanks to Mohammad Juhari documenting all the happenings with lovely photos as usual. Photos and videos too (see comments on the facebook post). 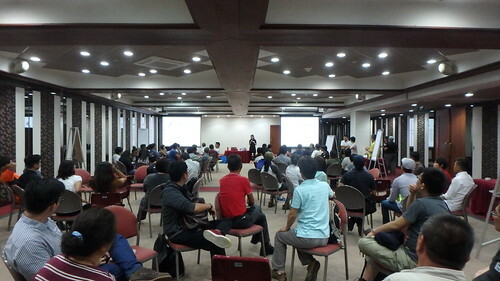 The enthusiasm and interest expressed by the participants are inspiring! We plan to start surveys this weekend! This workshop is a collaboration with the Restore Ubin Mangroves (R.U.M.) Initiative?. 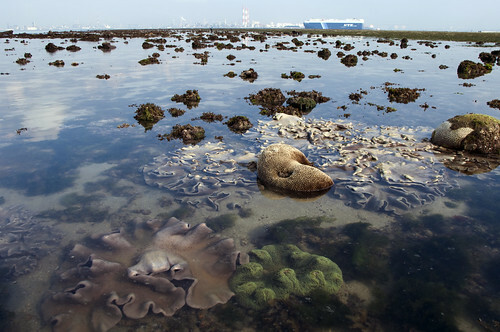 What is the Restore Ubin Mangroves (R.U.M.) Initiative? The Restore Ubin Mangroves (R.U.M.) Initiative is for all those who care about restoring mangroves to the abandoned aquaculture areas at Pulau Ubin. 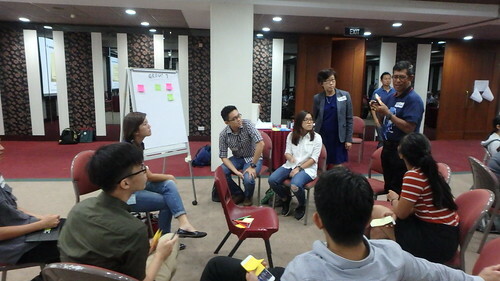 The Initiative brings together the community of experts from tertiary institutions, NGOs, commercial enterprises that depend on Ubin mangroves, and individual enthusiasts, with the support of NParks and the corporate sector. More details here. Some of the awesome volunteers of RUM. 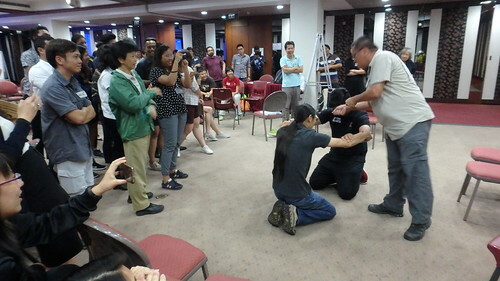 What are the aims of the training? 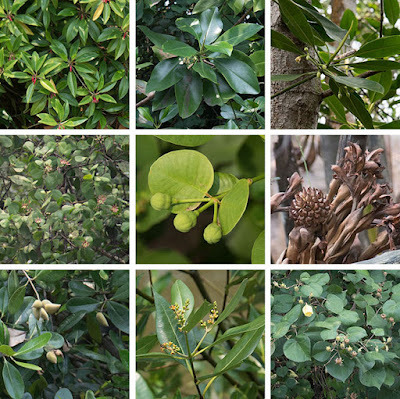 Introduce you to the fundamentals of mangrove plant ID. Build your confidence to survey mangroves effectively. 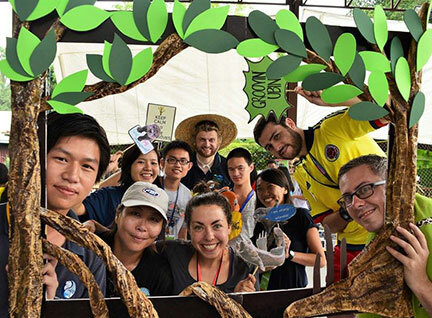 Provide you a chance to interact with like-minded people and experienced nature volunteers. 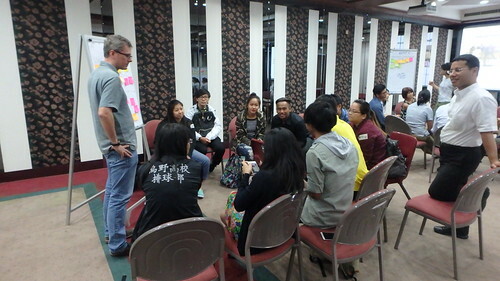 The training is a series of workshops with small group discussions and lots of interaction. 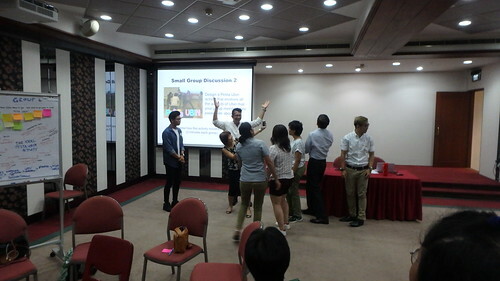 It comprises one classroom workshop and one field session. You are expected to read up the bulk of the information on your own. Links to online resources will be provided to those who register. at NUS. Exact venue will be provided to those who register. 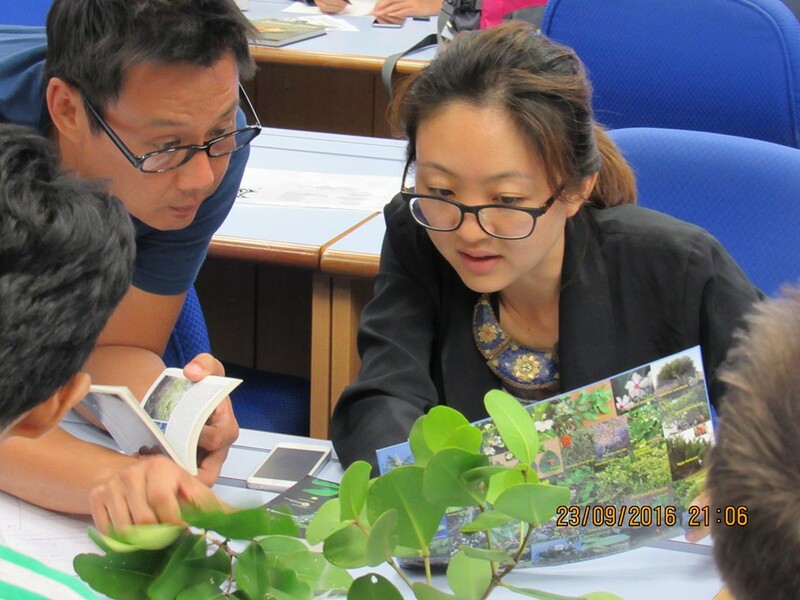 The bulk of this classroom session will involve small group practice in mangrove ID with plant specimens facilitated by experienced volunteers. There will be a short talk by Ria Tan to provide a framework for self-learning. The classroom session will involve collaborative note-taking so you are encouraged to bring your laptop for real-time online sharing of ideas. at Pasir Ris Park. Exact meeting point will be provided to those who register. This will give you a chance to practice your mangrove ID on real plants facilitated by experienced volunteers. Priority will be given to those who have attended the Classroom Workshop. Be 19 years and above. Be able to walk about 3km at a slow pace. Fill up this registration form. The Classroom Workshop and Field session are free-of-charge! But please do not sign up and then not turn up. You will be depriving others of limited places. The volunteers organising and facilitating the workshop are providing their services for free. Last weekend, 52 new and "old" volunteer guides have gathered together where we went on a Field Trip to Sisters' Island! 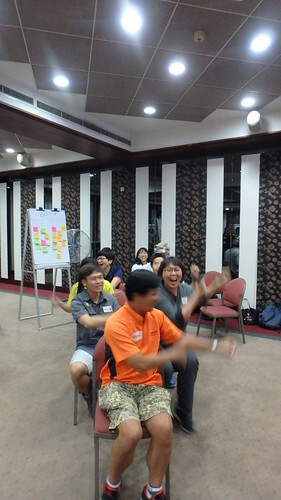 The fun field session marks the end of the training of a second batch of Marine Park volunteer guides.